Geastrum saccatum. 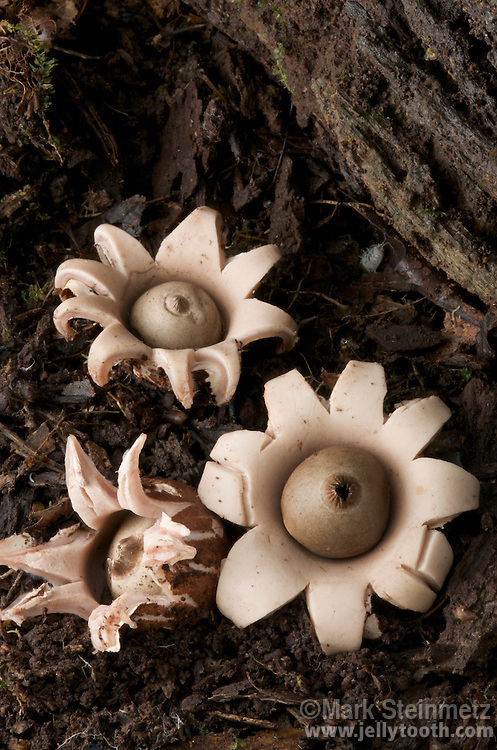 Sometimes referrred to as the Nested Earthstar, the fruitbody starts off as an egg-shaped ball with a pointed beak, and upon maturity, the outer skin splits at the apex into star-like rays that spread and recurve beneath the base. Like other puffballs, powder-like spores are ejected in bursts caused by raindrops, or escape more gradually by wind currents blowing across the pore opening. Often found fruiting at base of tree stumps. Widespread across North America.